If you’re one to value privacy and personal space, but also want a view of the garden and the great outdoors, then a courtyard is an awesome way to add greenery and structure to your home. Your living area can now be perfectly housed on one side of the courtyard, while the bedroom also has access to the freshness of your floral arrangements by opening onto the courtyard too. It’s a relaxing and elegant way to add value to your home, and we’ve included 8 great ideas (that are easy to recreate) in this homify Ideabook. Enjoy! So your home is located on a busy street? Well, that’s no problem for your architects. Keep prying eyes out of your courtyard with this concrete wall. If you look closely you’ll see a welcoming wooden deck at the entrance of the home, so go on and catch a tan while you’re at it! 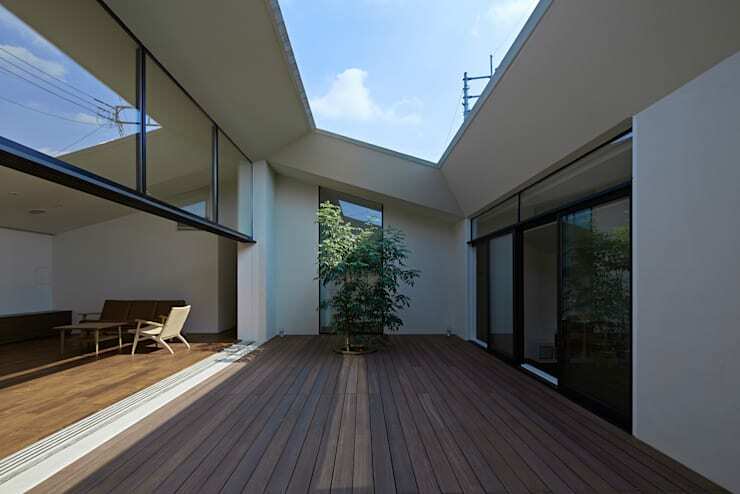 The courtyard of this home is easy to maintain. The wooden deck is a great choice that creates a comfortable environment, including some simple greenery for fresh appeal. This courtyard ensures that two families are able to live peacefully on this property, without being too close for comfort. Both families have access to the courtyard, and can enjoy the outdoors and relaxing atmosphere in style. The rooftop area of an apartment is often an underutilised part of the building. This garden rooftop acts as a comfortable and elegant space for the families in the block to enjoy each other’s company, while taking in the sensational sunshine. 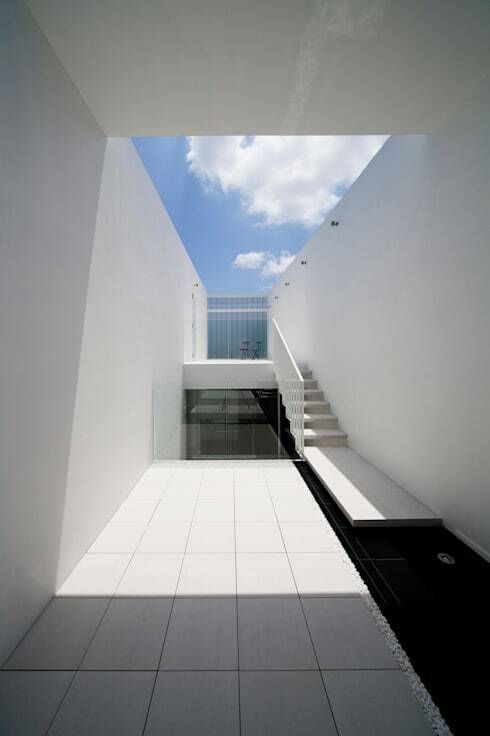 This inspirational design is located in a quiet residential area of Tokyo. Concrete and glass create a magnificent modern look, which is designed so outsiders cannot peek inside. 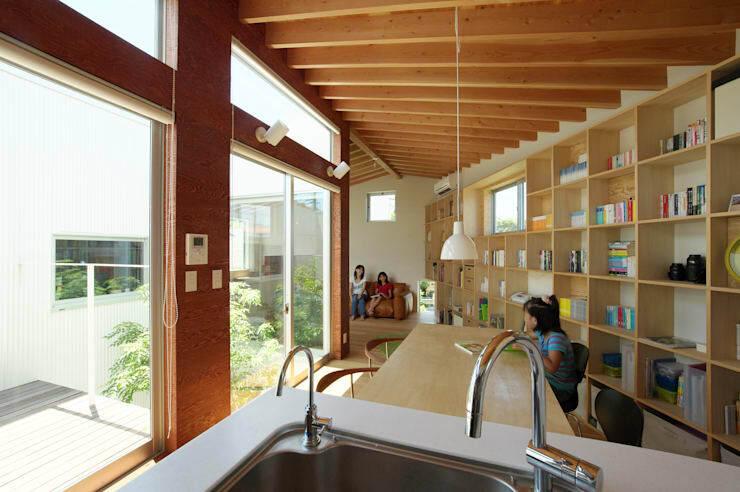 However, the area evokes a bright outdoor-like experience. 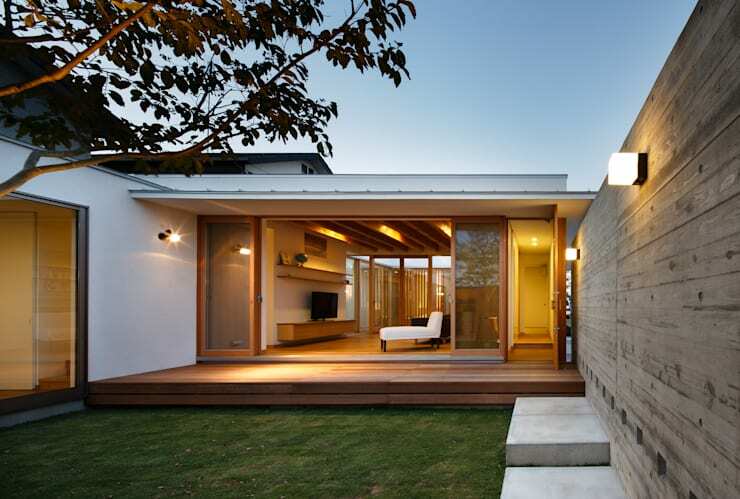 The wooden deck of this simple and elegant home is a great outdoor extension of the interior living room. Enjoy the cool breeze and sunshine, but in the comfort of your own home! 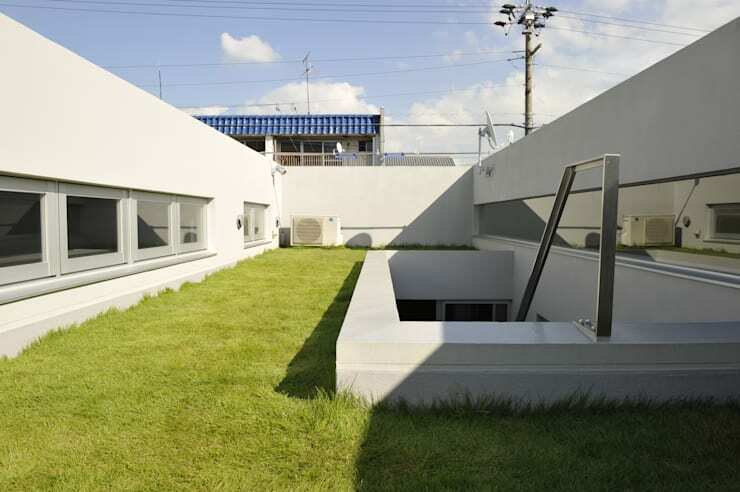 This creative courtyard is a gorgeous artistic vision from any room of the house. 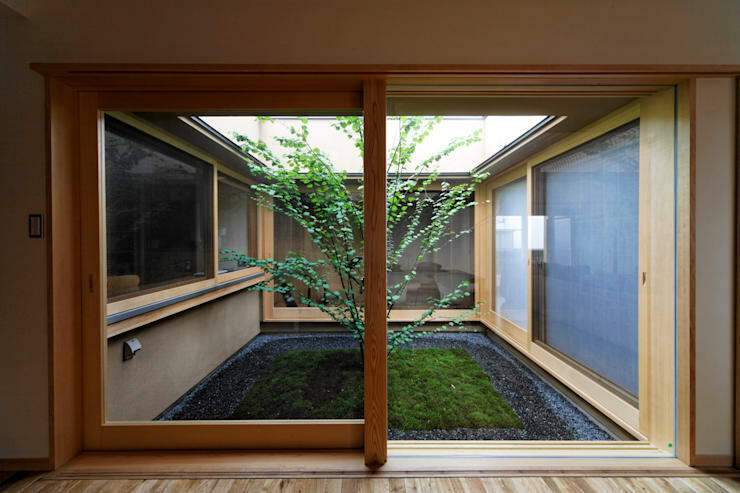 The simple tree, greenery and plants add a stunning sight to this interior. Some greenery might just be the way to get your kids inspired to do their homework after school. 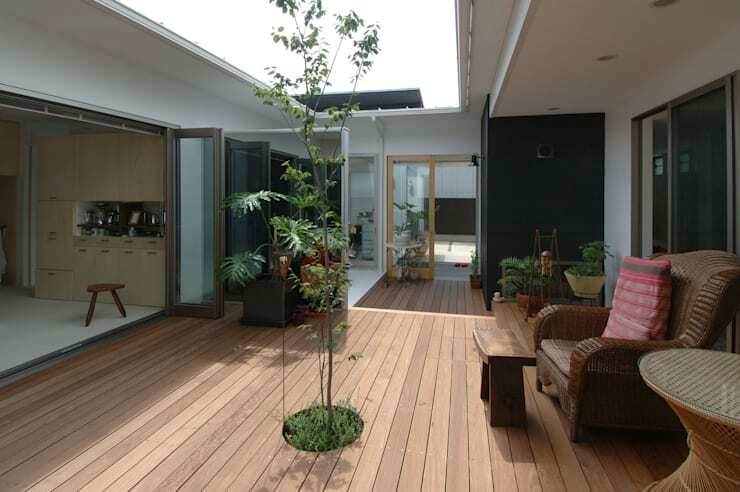 This courtyard also creates a fascinating effect for your interior, so consider that in your next home upgrade plan! Here are 9 backyard ideas to copy right now!, just in case you need some more inspiration. 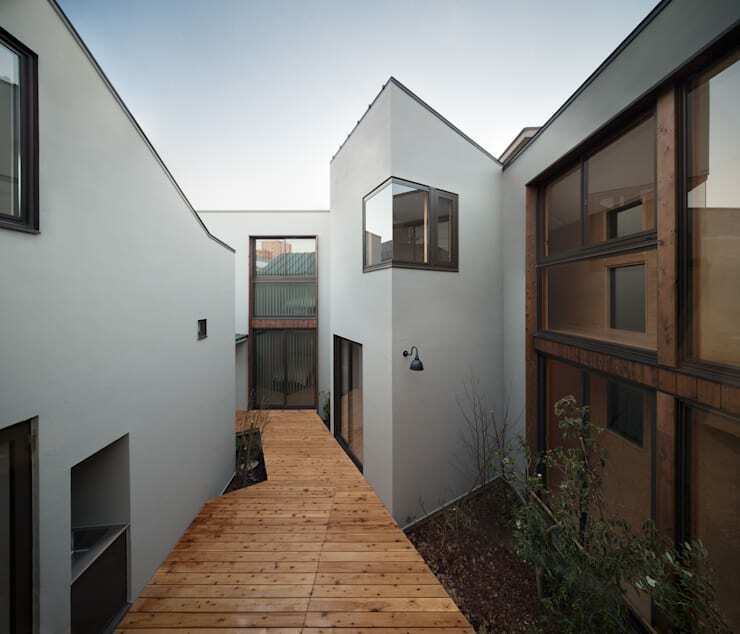 Would you have a courtyard in your home?